Perhaps Florida's Best Kept Real Estate Secret! The Fernandina Beach - Amelia Island - Yulee area offers housing options for every age group and lifestyle. Whether it be Golf, Tennis, Boating, the Beach, or just plain relaxing; this area has it all. There are numerous fine & casual dining options, and several shopping areas on and off Amelia Island which include: two multi-plex theatres, Home-Depot, Lowes, two Walmarts, Target, Kohls, TJMaxx, Ross, JoAnns, Ulta, HomeGoods, Bealls, 5Below, Tuesday Morning, West Marine, two Publix supermarkets, WinnDixie, and more. There are also many houses of worship, medical facilites (including Baptist Hospital Nassau), miles of pristine beaches--some with picnic areas and restroom facilities, (all with free parking and admission)-- and marinas, all just a few minutes away from anywhere in the area. Nassau County also boasts "A" rated schools at all levels, Nassau County Community College, and a low crime rate. Historic Old Town Fernandina Beach --a ten-square block harborside area filled with history, old colonial homes, shops, restaurants & bars, and old Southern charm not found in many other places-- is only a ten minute drive (or less) from most neighborhoods in the area. JAX Airport, Downtown Jacksonville with it's World Class Medical Facilites and fine restaurants, UNF, Jaguar's Football Stadium, Jacksonville Memorial Arena, Jax Zoo, Jax Beaches, and several Military Bases are all within 45 mins. Please use my website to explore the available properties in the area -- many of which reflect some of the best values available of any like-kind area anywhere in Florida... especially when you factor-in the benefits of the location; close enough to everything anyone would need, yet away from the hustle & bustle of big city life. Homes range from the $100's to over $2 million... Vacant lots range from $40K to $500K. This charming lot, located in the "Cove" section, of gated Oyster Bay Harbour. Property backs to an enchanting lagoon, surrounded by beautiful native trees - home to an array of aquatic birds. 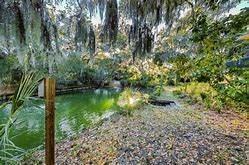 Build your "Low Country" stlye home on this well-priced lot, before prices rise. Amelia National Golf & Tennis Country Club This upscale Country Club community is centrally located in the Fernandina Beach "mainland" area, and is the only guard-gated subdivision off of Amelia Island. It features a non-equity Tom Fazio signature 18-hole golf course (golf membership optional), a brand new eight-court tennis facility (including a tennis pro-shop & clubhouse); along with an elegant provencial style clubhouse (featuring a restaurant, cocktail lounge, pro-shop & conference room), resort style pool, spa, fitness center, playground & more! All residents are required to maintain a Social Membership. Homes start in the $300's... a few vacant lots avallable, starting at $60K. Click here for available properties and more details about Amelia National. North Hampton Golf Club Six-hundred plus families call this "mainland" Golf Course community home. Besides the challenging, semi-private 18-hole Arnold Palmer "links-style" course with clubhouse and restaurant, it features a host of recreational amenities, such as: two pools, tennis courts, soccer field, playground, petanque/bocce court, basketball court, kayak launch & outpost, and more -- all included in affordable annual dues (excluding golf). Besides recreational amenities; Internet, Cable TV, Security monitoring and security, are also included -- and no CDD. Homes starting in the low $300's, lots in the $80's. Click here more details and available properties in North Hampton. Oyster Bay Harbour This gated "mainland" community features it's own private marina, and yacht club (membership optional). Nestled on it's own peninsular among ancient moss covered oak trees, and native birds, this upscale community is surrounded by waterways, and also features interior lakes. Choose from an array of various architectural styled homes, or build your own (ARC approval required). Resales from the mid $300's, vacant lots start in the $80's. Afordable HOA fees and no CDD. Click here for more details and available properties in Oyster Bay Harbour. Sandy Pointe Preserve Casual Coastal Living just off Amelia Island Sandy Pointe Preserve is a prestigious neighborhood featuring an exquisite collection of coastal homes located just off Amelia Island. These specially designed homes boast luxurious features and architectural elements that showcase the distinction of living by one of Florida’s most renowned coastlines. Choose from several floorplans, which can be customized to meet your needs. This BRAND NEW private community includes a gated entrance and 121 estate-sized homesites nestled along expansive conservation areas and picturesque lakes. Sandy Pointe Preserve provides residents with convenient access to the area's beautiful and pristine beaches which are only 5 miles away, as well as all of the on-island luxuries such as the opulent resorts of Amelia Island and the finest restaurants and premier shops of historic downtown Fernandina. Starting in the mid $300's. Click here for more details and available properties in Sandy Pointe Preserve. Flora Parke / Floridian Enclave Flora Parke: An affordable, family-oriented "mainland" community, across the road from North Hampton, and up the road from Amelia National. Close to "everything", Flora Parke is set within a park like setting, featuring lakes with fountains, recreational areas, and jogging trails. Homes start in the high $200's, with low HOA fees & no CDD. New Construction available in Phase V. Contact me for details. Floridian Enclave: Nestled alongside it's "big sister", Flora Parke, this Brand New, intimate "gated" community, features only 55 homesites. Low country style homes start in the $300's and include membership initiation into the Golf Club of Amelia, on Amelia Island. Low HOA fees, no CDD. Click Here for more details and available properties in Flora Parke or Floridian Enclave. Amelia Walk A newer family-freindly and affordable community located on the "mainland" next to North Hampton and across the road from Amelia National. Amenities include: clubhouse, large zero-entry inground swimming pool, fitness center, tennis courts, playground, small lake and tennis courts. New single family homes only, starting in the $300's. Click here for more details and available properties in Amelia Walk. Amelia Park A unique "neighborhood" community on Amelia Island, consisting of charming clapboarded townhomes with porches and single family homes, nestled around a large community lawn and bandshell. Conveniently located in the center of the Island, this charming community is within walking distance to numerous shopping and eating establishments, the YMCA, has it's own Chapel, and is less than 2 miles from the beach. Townhomes start in the $300's, single family homes start in the $400's. 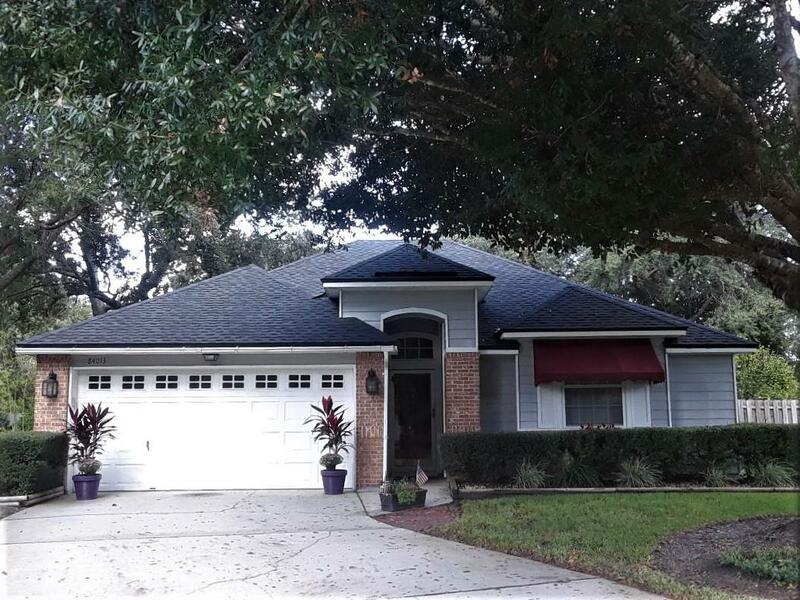 Click here for more information and available properties in Amelia Park. Dunes of Amelia This Brand New Subdivision is the first on Amelia Island to offer underground Natural Gas! Right up the road from Isle De Mai, this community will feature 122 homesites, with homes ranging from 1900-3100 SF, pre-construction prices starting in the high-$300's. These homes are loaded with included options and upgrades, and may be the best value on Amelia Island. Contact me for floorplans of available models, available from the two preferred builders. Click here for more details and available properties in Dunes of Amelia. No Obligation, No Pressure- Ever!